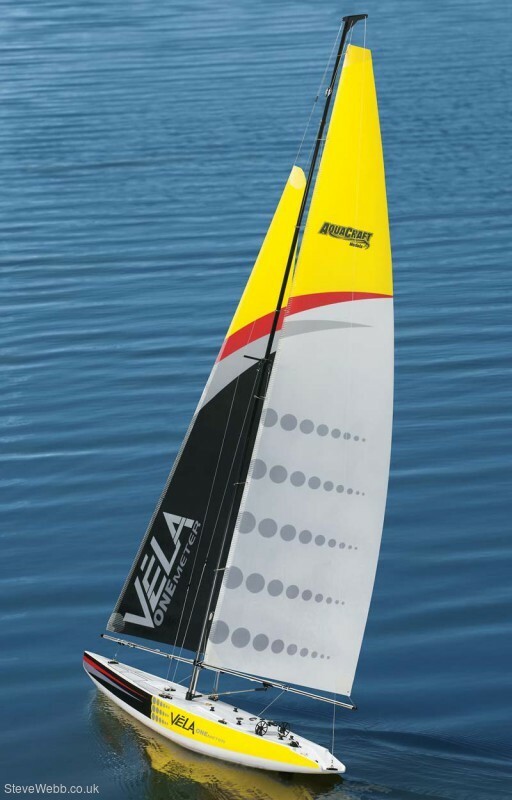 Aquiring the VELA One Metre means that you will own a pleasing, easy to operate, and versatile sailing boat. It takes just one hour to assemble and be ready to sail. 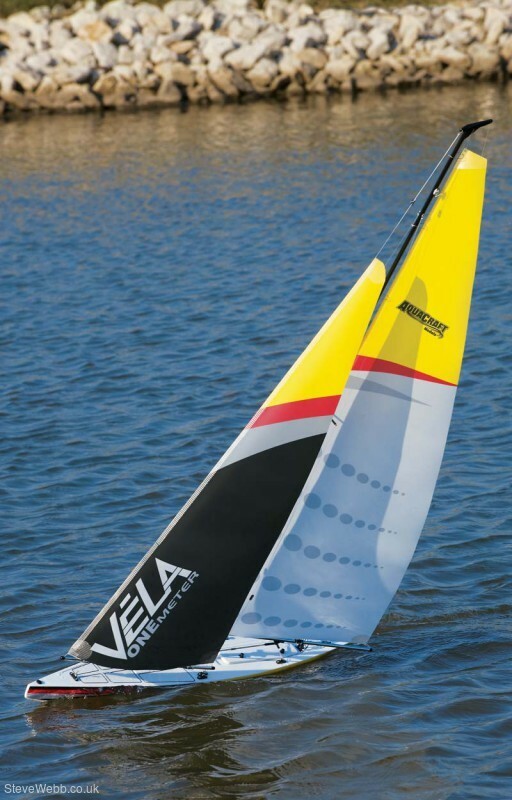 VELA One Metre will demonstrate her ample abilities at wind strengths up to a maximum of 3 Beaufort. 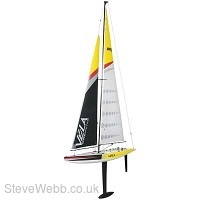 Features such as GRP racing hull, carbon fibre mast with superlative rigging, high-torque sail winch servo and fibre-reinforced polyester sails, all combine to make this impressive model not only fun to operate but also make it look good when simply displayed at home. Elaborately printed sails and extensively decorated hull enhance VELA's appearance even more.